Hearing loss isn’t confined to older adults: children of all ages can experience a loss of hearing. Roughly three out of 1000 babies are born with hearing loss, and its prevalence is increasing in adolescents. Noise-induced hearing loss is largely responsible for this increase. 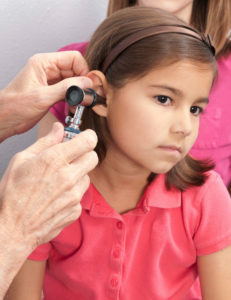 If you suspect your child is having difficulty hearing, seek medical attention as soon as possible. Delaying can have a strong effect on a child’s learning and development. A delay in speech and language. Failure to respond to loud noises or your voice. Disorders associated with hearing loss (i.e. Down syndrome or autism).